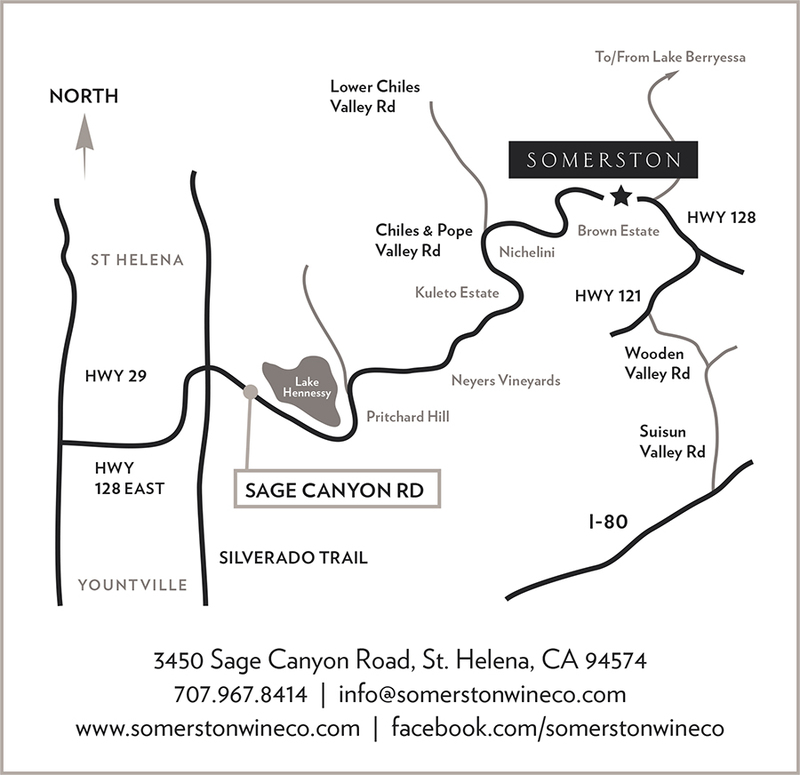 We are available to host you at the Somerston Estate for tastings by appointment only. Please inquire either by emailing us at visit@somerstonestate.com or by calling 707.967.8414 to make a reservation. Space is limited.